Looking for little gifts your kids will love but don't want to spend a bundle? 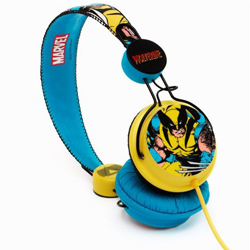 Here are compact geeky goodies under $50 that will brighten the holidays of the kids on your list. You can control this little wonder by touchscreen using an iPhone, iPod touch or iPad. Use a virtual joystick to maneuver and tilt to move the helicopter forward, backward and side to side. 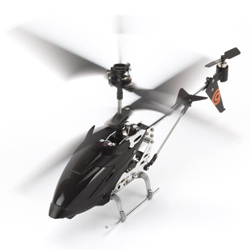 The remote transmitter plugs into the headphone jack of any iOS device and the Helo TC helicopter is ready to fly. Some games, shooters and classic arcade titles for instance, feel awkward on a tablet. 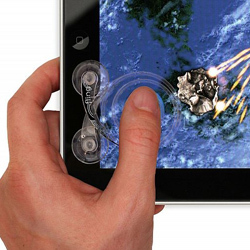 This handy iPad accessory sticks to the display with suction cups and provides stable, reliable thumbstick control. It works and elevates tablet gaming to near console-level quality. These “wrist docks” for the 6th generation iPod Nano are a great way to turn the Nano into a multifunction timepiece. 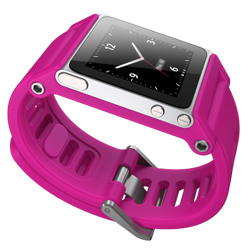 The Nano snaps in easily and stays securely in the TikTok, which is made of tough, silicone rubber. Comes in cyan, magenta, yellow, black, and white. 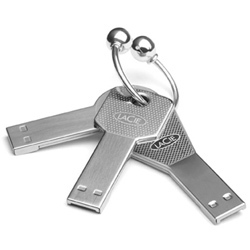 Solid, metal construction, cool design and a super handy form factor make for a winner in storage. It’s also water and scratch-resistant, so you can throw it on your keychain and toss in your backpack without worrying too much about your precious data getting damaged. Also comes in 4GB and 16GB models. These tiny remote control cars are the first micro RC vehicles that go fast enough to complete a full 360 degree loop. 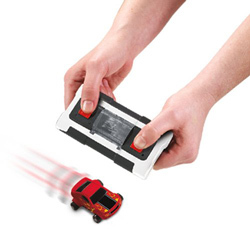 The Nitro Speeders come with a carry case that also serves as the remote control and charger. Choose from one of five vehicles: Ford Mustang, Chevy Camaro, Dale Earnhardt Jr.'s Hammer Head Vehicle, Ken Block Ford Fiesta Rally Car, and Team Hot Wheels Mustang. Simon has gone high-tech in this re-released version of the classic game, but still tests your memory, speed and logic skills like never before. Instead of the round version, Simon is now four differently colored cubes that can be shuffled around to solve puzzles. 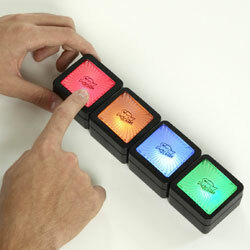 Simon comes with four games: Simon Lights Off, Simon Shuffle, Simon Secret Color, and Simon Classic. 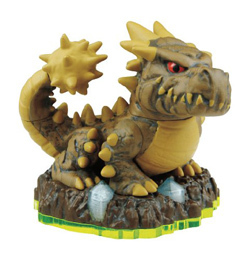 One of the hottest tickets in kids video games this holiday season is Skylanders: Spyro’s Adventure. The game lets you take collectible toy figurines and “transfer” them into the video game via the Portal of Power, a peripheral accessory that plugs into your game console. All the character's stats and history are immediately brought to life in game. The figures will work on any platform—Wii, DS, Xbox 360, PC, or PS3. Fans will be delighted to find an extra figure (or three) in the stocking this year. Thanks for this, Alex. Good ideas. Nice to see you up here on Techlicious! These are all great gifts, but in what world is a $50 helicopter a stocking stuffer? 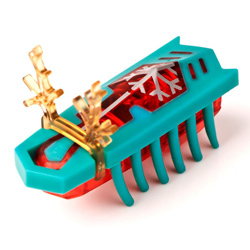 I had a hard time including the HEXBUGs on my list at $6. When we were little, we got chapstick, candy, and playing cards.